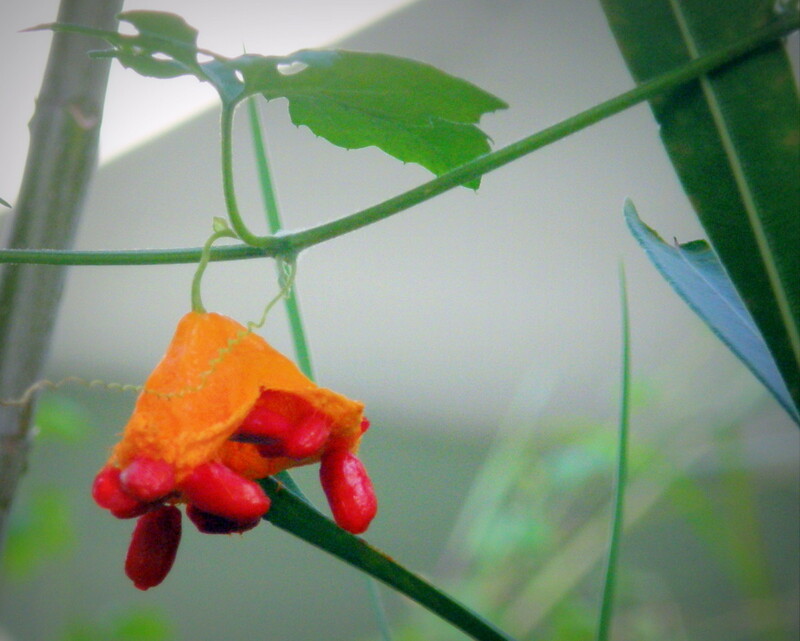 I'm an avid gardener, plant collector, and biologist, but somehow this common plant escaped my research until now. I've seen this plant my whole life, but wasn't sure what it was. It didn't seem that amazing, so I fell into the infamous trap of calling the plant a "weed" and not thinking much else about it. How wrong I was! 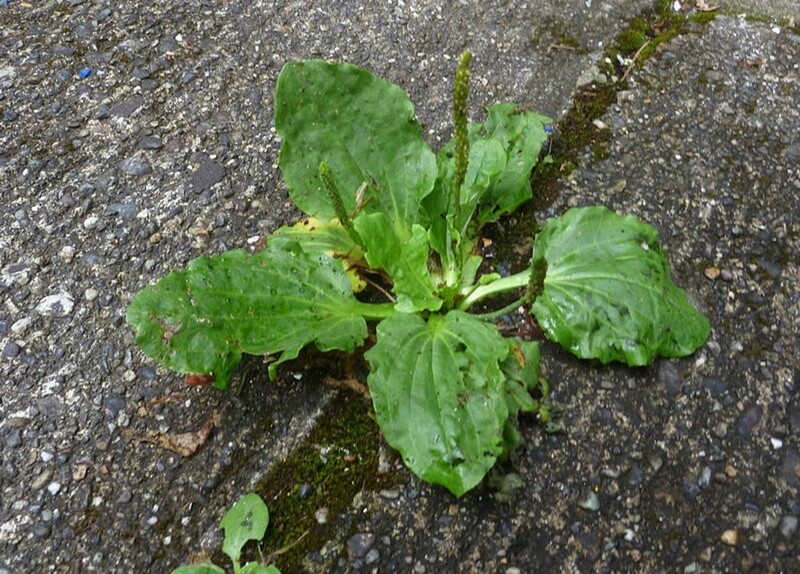 I have nothing against so-called weeds. I have entire sections of garden that grow wild and produce amazing wildflowers and random weird plants. Going out there to take pictures just now, I realized this stuff is everywhere in my garden and my grass. I had no idea these plants were one of the major medicinal species in the world. But they are, and I'm swimming in them! 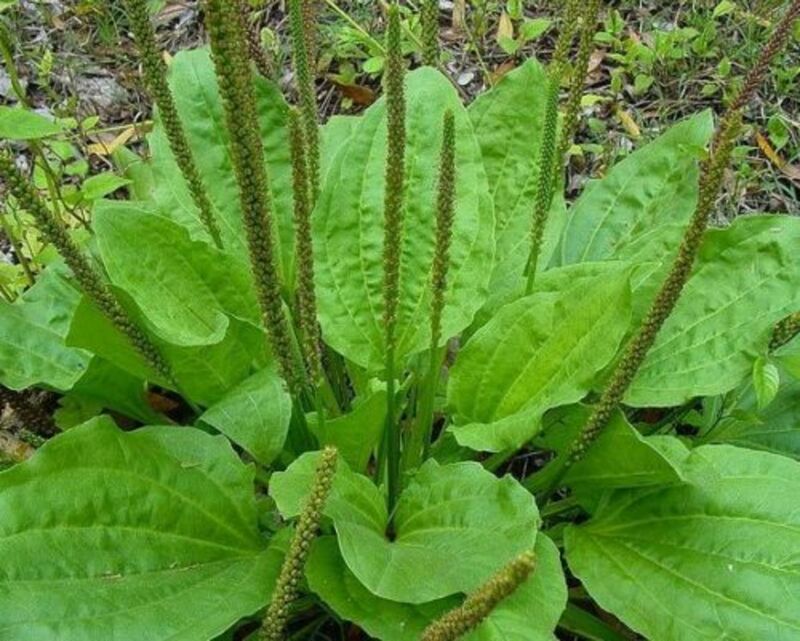 Plantago major, often called a broadleaf or common plantain, is a species of flowering plantain that's native to Europe and Asia. Over time it's been widely dispersed everywhere else and is one of the most abundant and widely distributed medicinal crops in the world. 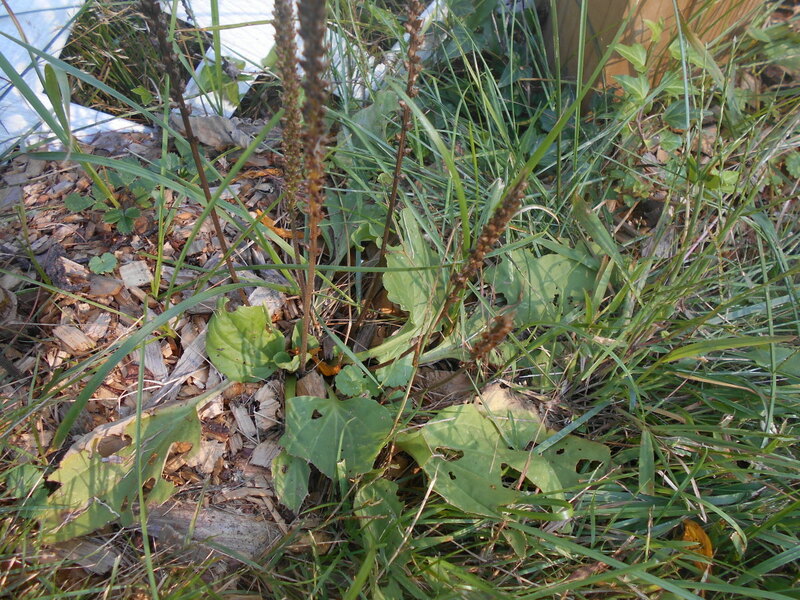 Most people have seen them growing in or around their driveway or within their lawn grass. That's because this plant thrives in compacted soils where other plants fear to tread. Reportedly it was one of the first plants that colonists brought to America, and was critical in soil rehabilitation in otherwise trampled and compacted colonized areas. Each plant can produce up to 20,000 seeds, which have a way of naturally getting mixed in with cereal grains via wind dispersal. This is how they've been dispersed around the globe. 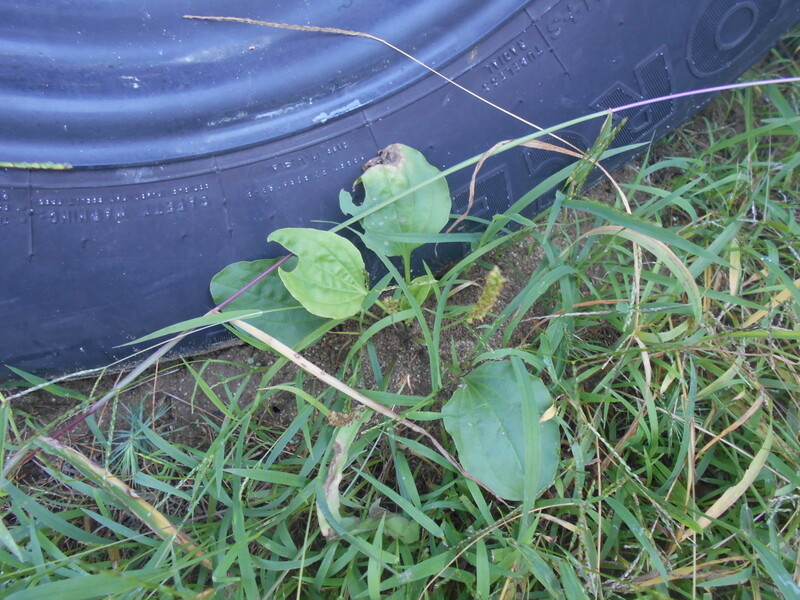 Another name for the broadleaf plantain is "white man's footprint" or "white man's foot." This is a term used by Native Americans to describe how this plant seemed to surround colonial settlements. Trampled, disturbed ground naturally attracts these amazing plants. Each place the colonists moved, this plant would pop up. Apparently you could track the colonist's movements just by seeing where the "white man's footprint" was growing. 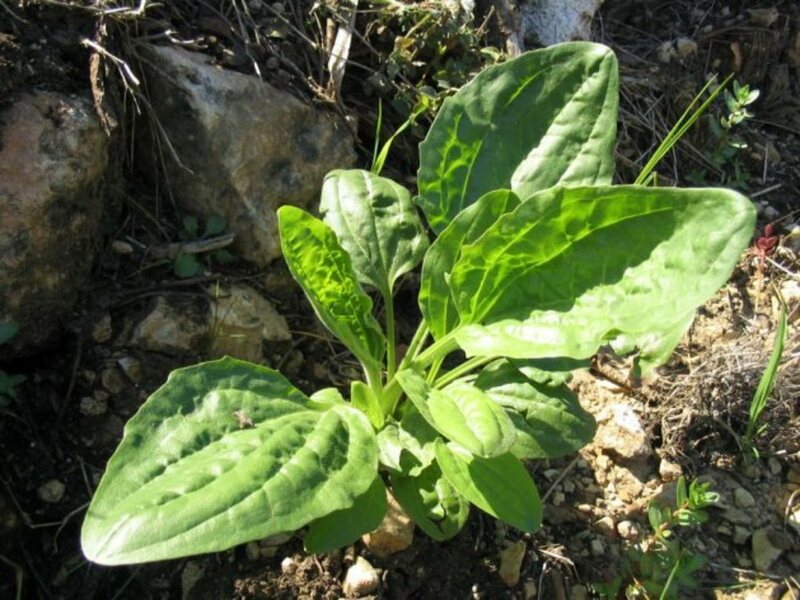 Broadleaf plantain is a natural astringent, and making the leaves into a tea can help relieve diarrhea and upset stomach. It's also a highly nutritious leaf vegetable, high in A, B1, B2, B3, C, and K. Plantain also contains calcium, chromium, iron, magnesium, manganese, phosphorus, potassium, selenium, and zinc. Like with most leafy greens, the new leaves can be eaten raw in a salad, while the tougher leaves can be cooked to soften them. 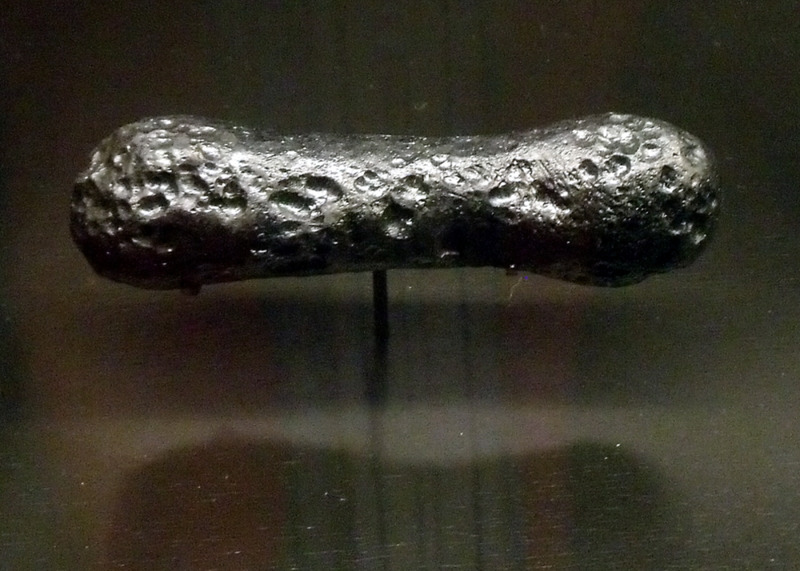 Perhaps the most common use historically is as a poultice for wounds and insect stings. 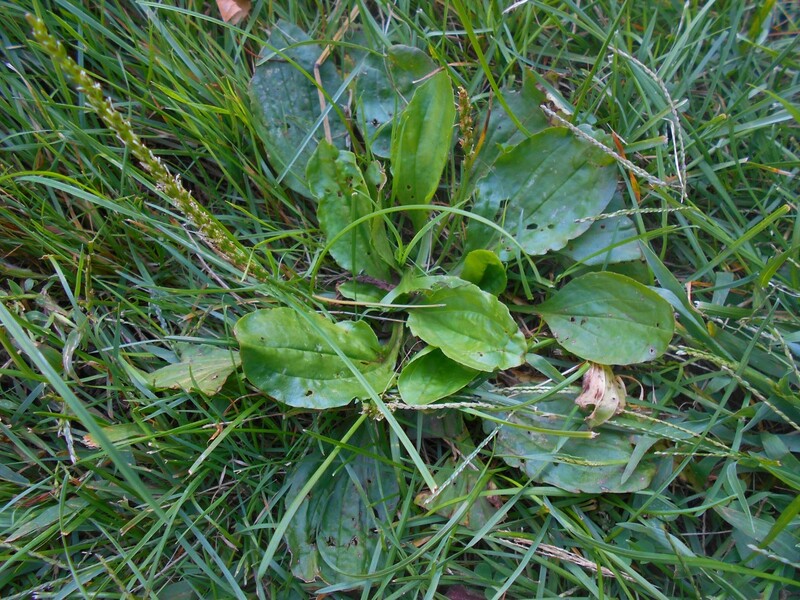 Start with a handful of broadleaf plantain leaves. 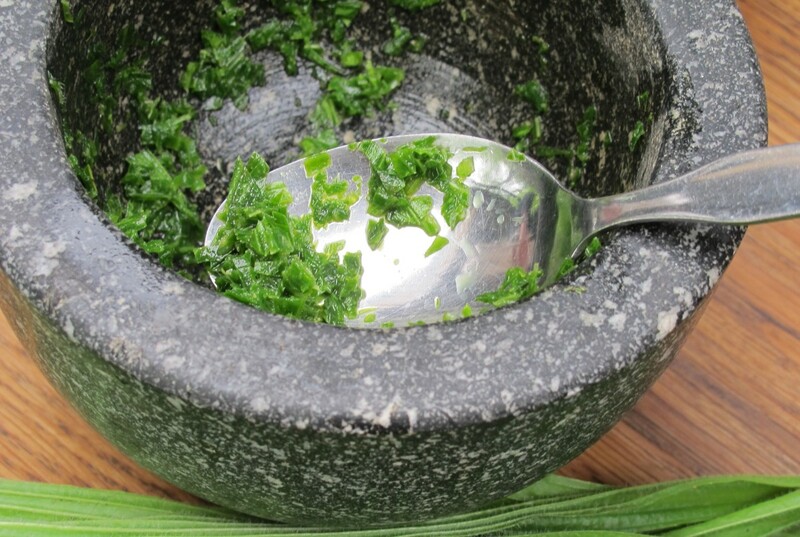 Crush the leaves with a mortar and pestle (or equivalent) until juices start to come out of the leaves. You will have a sort of mash of leaf fragments and juice. It's important the cell walls are broken to release the healing properties of the plantain leaves. Affixing an intact leaf to a wound will not be adequate. Apply the mash directly to the affected skin and secure with a cloth, bandage, or cling wrap for 30 minutes. Reapply as often as needed. 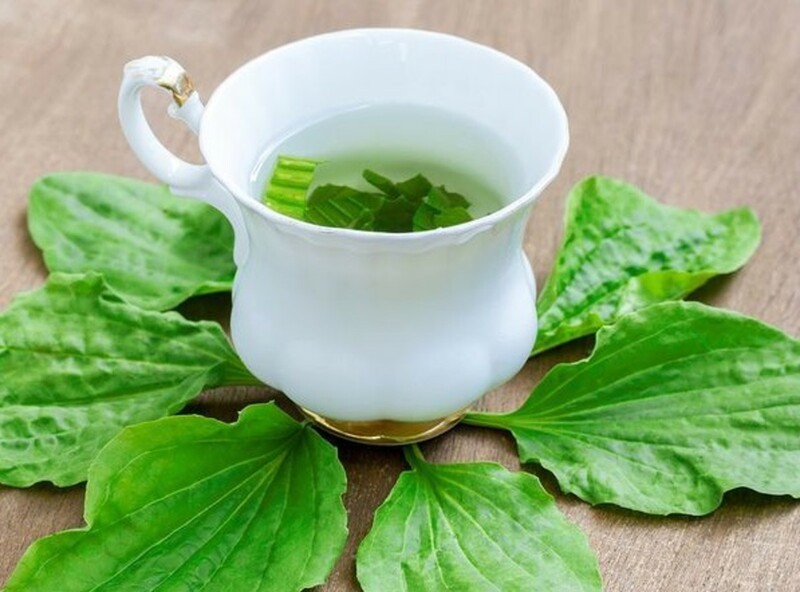 Start with a cup of fresh broadleaf plantain leaves. 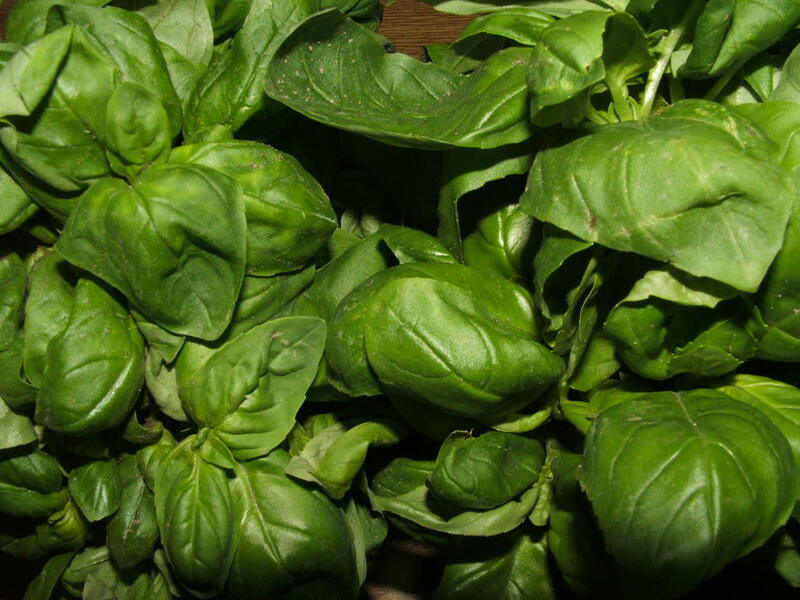 Thoroughly wash the leaves and place them in a heat-proof container with a lid. Boil two cups of water and pour it over the leaves. Cover and let the leaves steep until the container is room temperature. Drink 1-2 cups of plantain tea per day to help alleviate the conditions below. Can also be used to rinse wounds before and after applying a poultice. Can be refrigerated for up to 2 weeks. 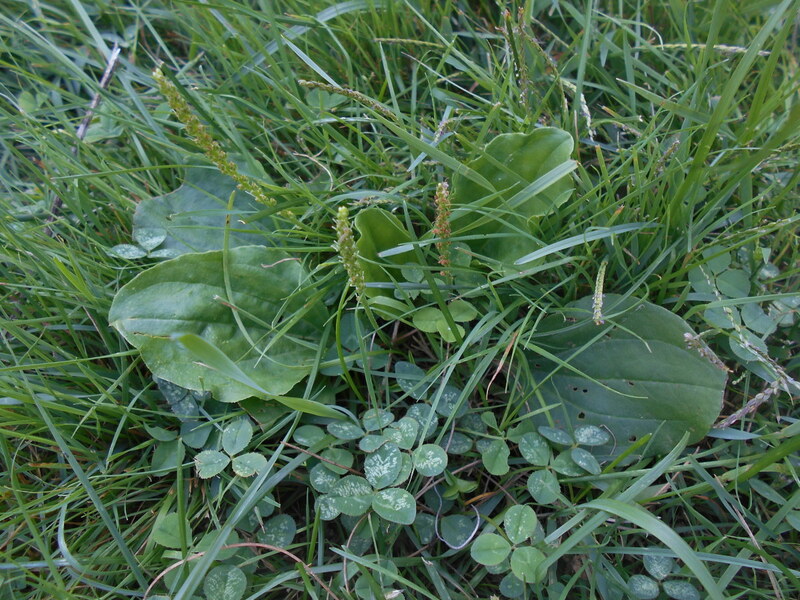 Have You Ever Seen a Broadleaf Plantain? Yes, in someone else's yard. No, I've never noticed it. Diagnosis, prognosis, treatment, prescription, and/or dietary advice is reserved for licensed healthcare professionals. Drugs, supplements, herbs, essential oils, and miscellaneous ingestibles may have dangerous side effects. @Robin, Thanks for the positive feedback! I guess I'm lucky that, where I live, very few people use pesticides, fungicides, or herbicides. I imagine this type of plant probably wouldn't grow unless in a "clean" (chemical/toxin-free) yard although you never know. But this is exactly the type of plant that people who use Roundup try to kill. So my thought is that, likely, the only people who will have this medicinal plant are already health-conscious and don't use those chemicals in their yards. I wonder how accurate that is.. Per usual very well written and interesting. Thanks- think I'll go out and find some...outside my neighborhood (immaculate yard/ pesticide area) Beware not to pick your helpful medicinal plants from a pristine-appearing yard- look for yards with a lot of weeds...and no outside cats and dogs! @Spiritwalker, That's great advice! I think the mint I dried from the garden could do the trick. Thanks! @Tarrin Lupo, I haven't tried the plantain tea yet. I'm curious to know what it tastes like, too! I wonder what the teas taste like, anyone ever tried it? @Steph45, You are so welcome! And I am never mowing over them again! Thanks for this incredibly useful article! I'm so excited to try this plant out! 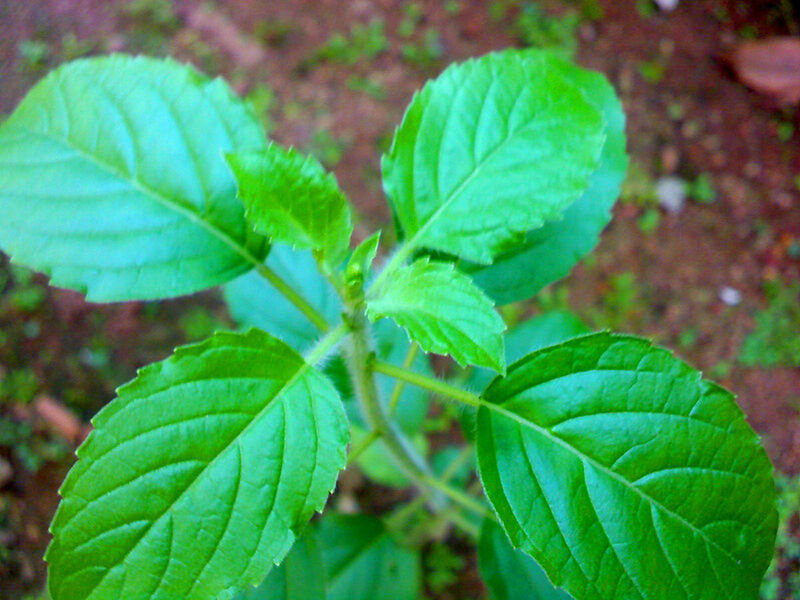 @Sneha Sunny, Now that you're aware of it, the plant will probably present itself to you when you least expect it! And in my case it was right under my nose and I had no idea of all its benefits! These days herbal remedies are not as widely used as they should be.. it's good to know that you're still using herbal teas to help you heal. Thanks so much for the kind words, and I hope you see this plant in your area! 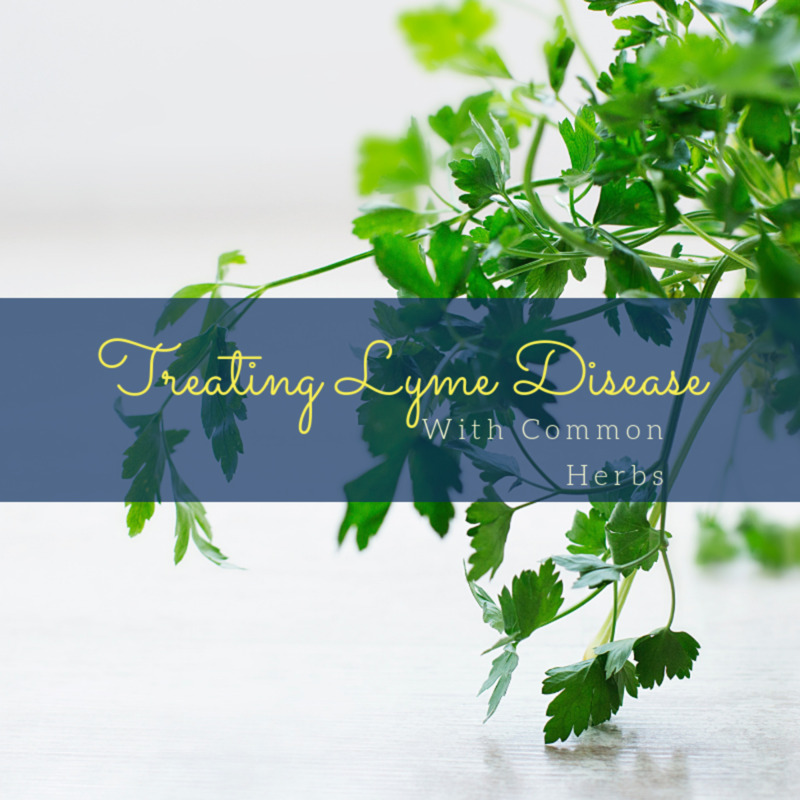 Loved reading about this amazing medicinal plant. I'm pretty sure it's nowhere near where I live, at least not around my home. Will try to see if they are somewhere around here in my city. But I do need to plant one in my garden now. I love to drink herbal tea when I have flu. Herbs get them go away very quickly, as per my experience. Thanks for sharing this!